Sig's pistols are engineered to perform anywhere, at any time, and under any circumstance. They boast unique, advanced features that stand out among the rest. he P365 high-capacity, micro-compact pistol is a revolutionary concealed carry that gives you more capacity, concealability and capability. It is striker-fired, with a nitron finished stainless steel frame and slide, and has a polymer grip. The proprietary magazine design allows for a 10 round capacity in both the flush fit and extended grip sizes. The P365 is rated for +P ammunition and comes with one flush and extended magazine. his model has black finish and X-Ray3 day/night sights. Great gun, super concealable. I'm sold! 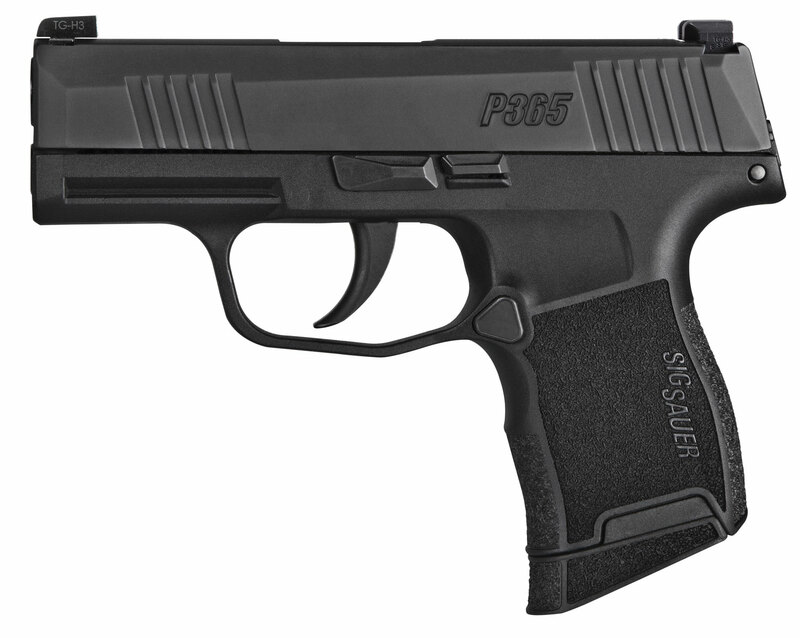 The P365 may have had a rough start but Sig has stepped up and corrected everything. This gun has been fantastic, no issues in the 500 rounds I've put through it so far. This gun really is a complete game changer for concealed carry.